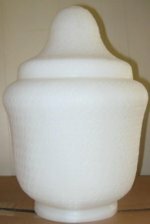 Wholesale lamp post globes. 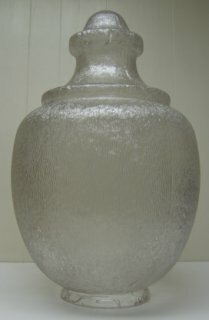 Call for discounts on larger quantities or local pick up. 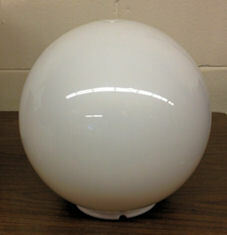 Watch for updates to our street light globe pages, we now offer over 400 different globes. 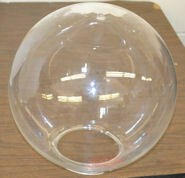 If you do not see the globes you are looking for just call or email. please call for discounted pricing. 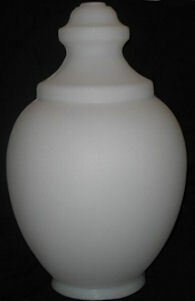 Call for discounted pricing if ordering more than 12 globes. 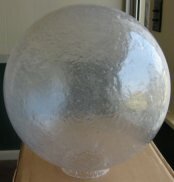 Polyethylene globes are economical and have excellent abrasion and impact resistance making them difficult to break from storm damage and vandals, which are the most common causes of globe breakage. 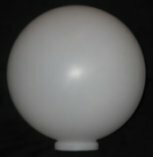 In addition polyethylene globes have an appearance similar to frosted glass which makes them an ideal globe solution for many antique style street lamp applications however most polyethylene globes are not suitable for HID lighting applications such as high pressure sodium and metal halide lighting.